In September Ed Wethered, Chief Entertainment Officer of the feel-good charity Raise Your Hands, will run 1000km around the UK on the longest run of its kind, all in support of small children’s charities – and he wants you to join him. 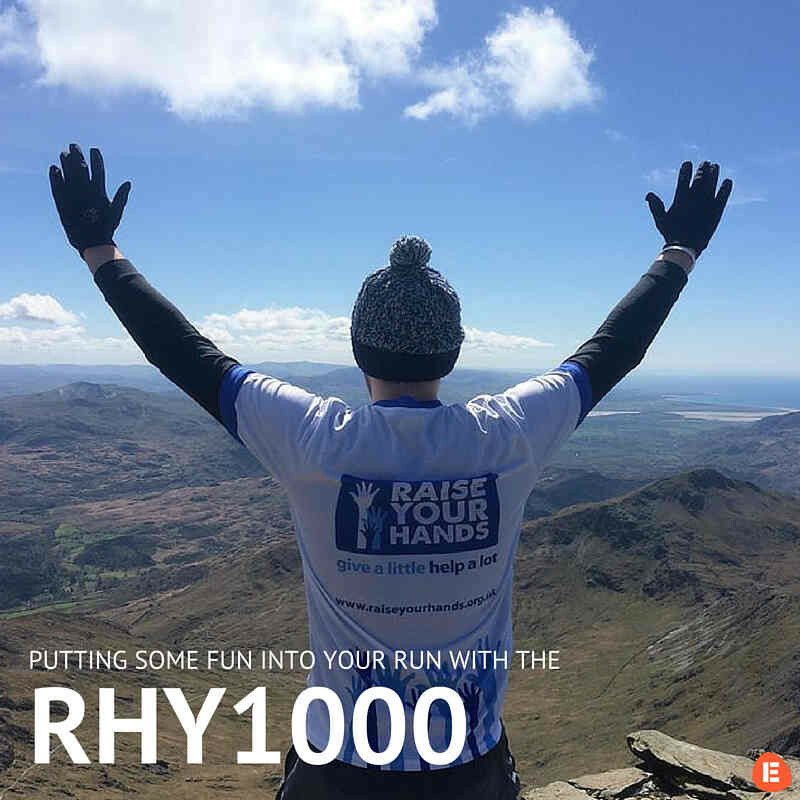 RYH1000 is a 1000km endurance run like no other – because Raise Your Hands is a charity like no other. We’re a community that supports small charities working with children by engaging the next generation in philanthropy. Charity shouldn’t be dull and boring, so we’ve decided it’s time to inject some energy and freshen things up. We do things like pop-up restaurants, bingo tournaments and parties. We get people involved in ways that suit them, and focus on the positives in life, so that our community can support charities that need help the most, whilst having a good time. The run route will visit the head offices of the 12 charities supported by Raise Your Hands. Whilst we suspect that Ed will be the only one to run the full 1000km (! ), the run has been broken into sections, with some of the most beautiful trails falling over the weekends. So anyone that has a passion for taking on new challenges, getting fit and meeting new people is encouraged to get involved. Will you be joining us for the RHY1000? Raise Your Hands is about supporting charities in fun and innovative ways, and RYH1000 will be no different. We’ve teamed up with The London Beer Factory who will be providing runners with free craft beer at the end of the day from their converted London Beer Taxi. Ed is also going to carry a 6kg BeatBringer speaker on his back – the equivalent of putting on a stone and running around Algeria – so we can listen to some quality tunes whilst running in some of the most beautiful parts of the English countryside. It’s going to be the first time anyone has run 1000km with 2 x 6” woofers and 2 x 25mm soft dome tweeters – we’re still waiting to get the nod from the Guinness Book of Records. Like a travelling radio request show hosted by DJ Forest Gump, Ed will be using runners’ music choices (via a collaborative Spotify playlist) and loads of positive vibes to will a community of runners to achieve something they thought they weren’t capable of. RYH1000 gives people around the UK the chance to get active, become a part of a national challenge and show their support for small charities working with children in the UK. 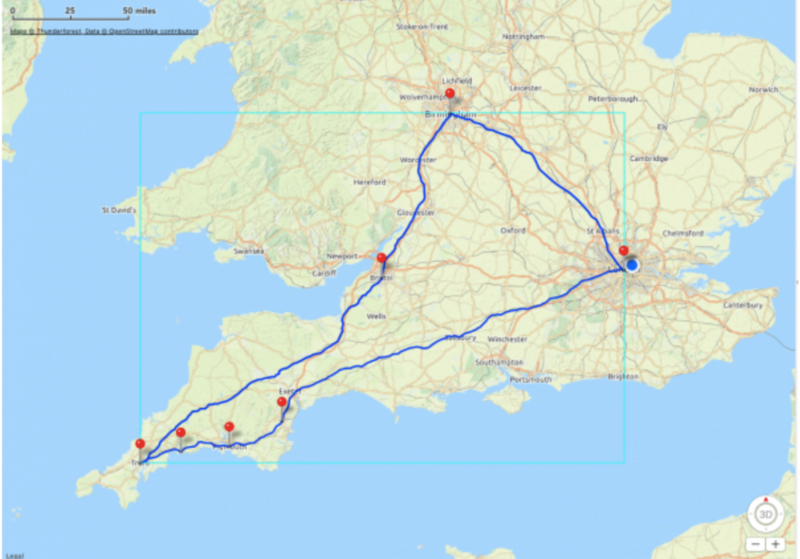 The route will visit the head offices of the 12 small charities supported by Raise Your Hands. After a number of stops to visit some of the charities in London, the route will head down to Cornwall (The Wave Project and StoryBook Dads), up to Bristol (CHIVA), and then onto Birmingham (Sport 4 Life), before heading back down the Grand Union Canal to London. 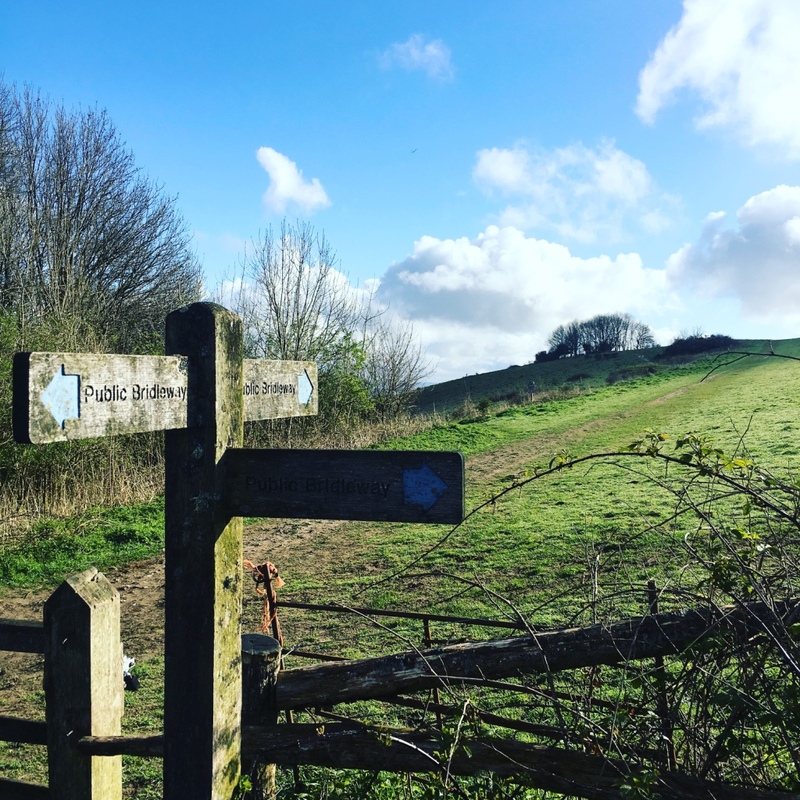 The route has been designed to take in some fantastic UK trails: from the well trodden tracks of the historical Clarendon Way, to the undulating and stunning Cornish Coastal Path, the banks of the Severn and the Grand Union Canal tow path. The run will finish with a big party in Victoria Park, East London. The route will visit the head offices of all the charities supported by Raise Your Hands. The weekend sections of the route have been designed to start and end near main line train stations, so it will be easy for people to join along the way. The full route is available on the website: https://www.raiseyourhands.org.uk/Event/raise-your-hands-1000. With the financial effects of 2008 still being felt across the UK, the government continues to cut back on funding for small and medium sized charities. These minnows of the charity sector tend to operate under the national radar in their local communities doing amazing work with children in a variety of innovative ways. They struggle to raise enough money for themselves because they don’t have big marketing budgets and they have limited resources. Raise Your Hands raises money for these charities by taking a fresh and innovative approach to philanthropy that is aimed at engaging the next generation of millennials. We are a community of members that individually give a little (£10 per month), but collectively have a massive impact on charities that need it the most. It’s easy, empowering and rewarding: we give back to our members by asking them to propose charities for us to support, by allowing them to vote on how the money we raise is distributed, by giving them discounts on carefully selected products and by organising parties where we meet new people and have a good time. If you want an easy and fun way to do your bit for children across the UK, sign up to become a member at www.raiseyourhands.org.uk/membership. If you want to find Raise your hands on social media, visit their Facebook or Twitter page, alternatively, visit their website www.raiseyourhands.org.uk to find out more. There will also be a Virtual Challenge surrounding the RHY1000 very soon so be sure to check for updates! Visit EtchRock.com to find your next challenge! Don’t forget to subscribe to our blog to keep up to date with the latest challenge news!